Join us October 26th and 27th as Apologetics experts John Bloom, Craig Hazen, and J.P. Moreland dive into a wide variety of topics on defending our faith. Visit PDXApologetics.com to register and find more information. Join us November 3rd and 4th for a series of seminars from some of the world's most preeminent experts on Biblical apologetics. 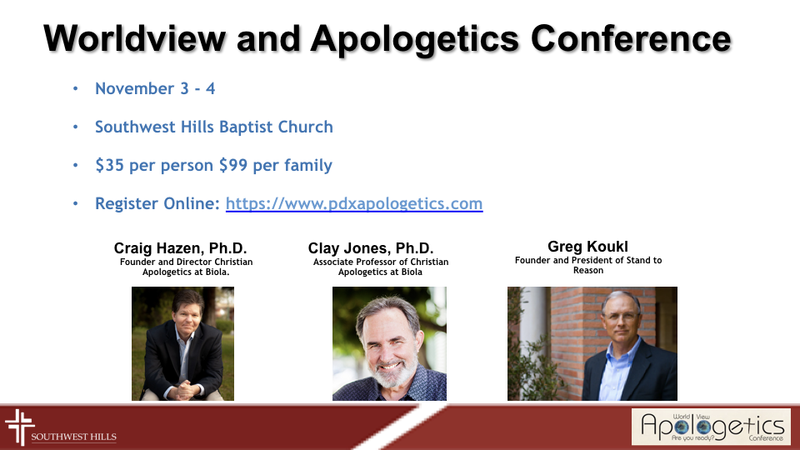 Visit pdxapologetics.com to register!